Please go onto www.justgiving.com/henrynormalfred and write your name(s) next to your payment. Venue: Jordans Village Hall, Green West Road, Jordans, Buckinghamshire HP9 2SY £10.00 (includes first drink!) Date: Mon 10 October 8-9.30pm (including interval) Then we will put your names on the door. No tickets will be issued. Thanks so much. Alternatively, if you aren’t able to pay on-line, please pay in the Jordans village shop thank you to Emma Holdsworth and your name(s) will be put on the door after payment. All trains come out of Marylebone if coming from London. Many parents of children with autism are facing “exhausting battles” to get the right education and support, according to a new charity report. Almost three quarters (74%) of parents found it difficult to get the educationalsupport their child needs, a survey of 980 parents and carers of children with autism by the National Autistic Society (NAS) revealed. 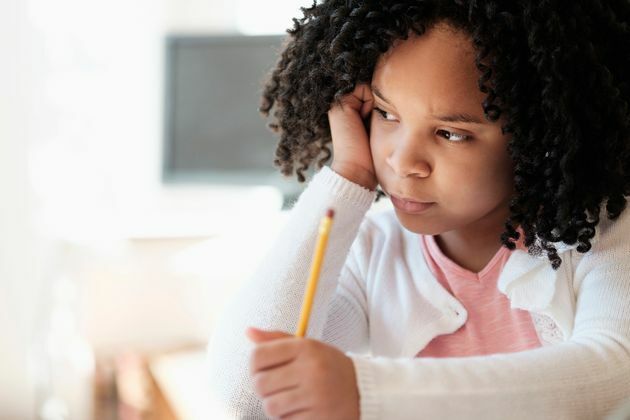 “Parents should not be facing long, stressful and exhausting battles, just to get the right education for their children,” said Mark Lever, chief executive of the NAS. “With the right education and support, children on the autism spectrum can achieve great things and their families can live full and happy lives,” added Lever. The findings come two years after the Government introduced a new special educational needs and disability (SEND) system in England, with the aim of making it easier for children to get support and making the process less adversarial for families. Asked about the survey’s findings a Department for Education spokesperson said: “We have made changes to the system of support for special educational needs and disability (SEND), which put families and children at their heart, making it less adversarial for them – and we are seeing good progress. “Mediation is now available for anyone thinking about an appeal. This is seeing results with 75% of cases in 2015 resolved without the need to appeal that year, while the number of appeals is also on a downward trend. The latest Government data shows that councils are delivering nearly 60% of new Education Health and Care (EHC) plans within 20 weeks, excluding exception cases. However, among parents questioned in the NAS survey, 69% said their child waited more than a year for support after concerns were first raised, and 16% waited more than three years to get support. “The Government tried to fix the education system for children with special educational needs but many of the same problems remain,” said Lever. There are an estimated 120,000 school-aged children on the autism spectrum in England. The vast majority (73%) are in mainstream schools and many rely on the SEND system. For some children this will mean minor adjustments, like having time out from a busy classroom or a teaching assistant to help them process their thoughts. Others, who perhaps have an extreme sensitivity to light or sound, or who are unable to communicate verbally, may need a much higher level of support at a specialist school. Although the majority of parents surveyed by the National Autistic Society say their child is in their preferred type of school, many parents faced an uphill battle to get to this point – with 17% saying they took their local authority to an SEND Tribunal to get the right support. The most common reasons reported for appealing were the local authority’s refusal to issue a statement or EHC plan, or to change the school named in the statement/plan. The NAS is now calling on the Government to review how councils are implementing the new SEND system and, based on this, to decide whether additional resources are needed to complete the reforms by their 2018 deadline or whether more time is needed. “The Government must take responsibility for its reforms and review how local councils are using the extra funding and what difference the reforms are making,” said Lever. “The Government must then act, whether that’s increasing resources to complete the reforms by the 2018 deadline or delaying implementation until local authorities can fulfil their legal responsibilities properly. 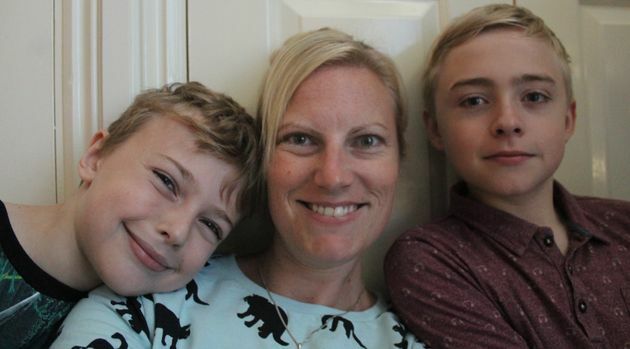 One mother told the NAS she has had two very different experiences getting support for her sons Cameron, 13, and Harry, 11, who are both autistic and struggled in mainstream schools. Jody and her sons Cameron and Harry. “My son Cameron was heavily bullied at school and struggled with depression and anxiety,” explained Jody. “I took the difficult decision to home-school him while I looked for more appropriate placement that met his need. “I faced a huge battle and ended up going to an SEN Tribunal, which eventually ruled in my favour but took a heavy emotional toll on my family. But his latest placement recently broke down so I feel like I’m back to square one. “Getting a SEN statement for my younger son Harry was much simpler and he’s doing well at an autism-specific school. “His statement was recently transferred to an EHC plan, under the new system. It took around six months to finalise the plan and I’m very happy with its contents and how the school implemented it. The National Autistic Society run the Education Rights Service, which provides impartial, confidential information, advice and support on education rights and entitlements for parents and carers. We have recently given out a number of grants to families.The money all came from the donations you made towards Lucinda running the Marathon. Here is a thank you we have already received. Programme to get Rob out of nappies before school and expand on his talking as he has started using vocal communication. I am over the moon with his progress. Thank you. What would Brexit mean for social care, NHS, and disabled people? ? Alongside the economy and immigration, the NHS has emerged as a key battleground in the EU debate. That is because the leave campaign decided early on to deploy the health service as a core argument in their plea to voters. Leave leaders Boris Johnson and Michael Gove have said consistently since campaigning began in April that Brexit could free up up to £8bnextra a year to spend on the NHS. Labour has dismissed the leave campaign’s claim of a bigger NHS budget as “misleading, simplistic and complete and utter nonsense”. Its own analysis concludes that a post-Brexit economic slump could force the government to cut the Department of Health’s budget by £10.5bn – the equivalent of every hospital in England having to shed 1,000 nurses and 155 doctors. People dont believe us when we tell them what parents have to go through but …..
People don’t believe us when we tell them what families have to go through to get the correct provision for their child. This article highlights the problem very nicely so please do share. THANKS SO MUCH GUYS #Fredland50….whilst everyone having a nice lazy bank holiday weekend sipping rose etc…….